You’ve heard it before: consistency is key. This rings true for SMS marketing, and on a larger scale, most digital marketing methods. Modern tactics give business owners exclusive access to personal customer contact information. Failure to respect boundaries and provide consistent value will always result in extreme campaign ineffectiveness and low engagement rates. So, with all that said, how exactly do you make sure your SMS marketing campaigns are consistent? 1. Follow your original frequency promise. Never break your original frequency promise. If you promise 4 campaigns a month, don’t exceed this limit. Doing so will break the trust of your subscribers, and ultimately increase opt outs. In addition, making this a long term habit could result in possible account suspension. It’s pretty much a lose lose all across the board, so follow this imperative advice. This is definitely a two part step. In addition to always firing out exclusive, high value campaigns, you should also make sure offers are cohesive. What exactly do we mean by that? Subscribers should know what to expect. Don’t consistently fire out monetary discounts, and then one week, send out a buy two, get one free offer. If subscribers are used to getting $5, $10+ off their order, they will expect these types of offers. Sending something outside this realm could lower offer redemption. If you usually fire out SMS campaigns between 10-11AM Wednesday mornings, stick with this schedule. Subscribers know when to expect your marketing messages. Don’t break this routine by firing out a campaign at 930PM on a Sunday night, as this will only cause low offer redemption rates, and increased opt outs. In general, you should never send out a campaign before 9AM or after 9PM. 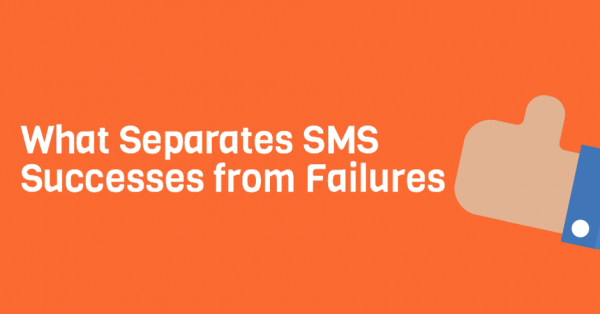 Keep your SMS marketing campaigns consistent to experience the most success.